Dr John Stanton, a Lecturer in the City Law School, has written a new book titled 'Democratic Sustainability in a New Era of Localism', which looks at the impact of local democracy on local regeneration. Regeneration (or urban regeneration) describes a process by which economic, social and environmental improvements are made in an area where people reside and also involves an understanding of the way the improvements or changes make their impact. In democratic countries and societies, regeneration is brought about by a variety of actors - citizens and local residents, enterprises, housing authorities, real estate companies, providers of social services and local councils, to mention a few of them. 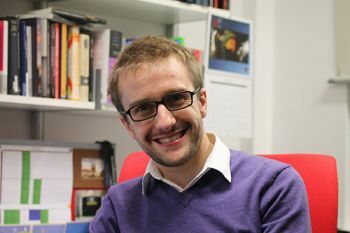 The City Law School's Dr John Stanton, who joined the University in 2012, teaches Constitutional and Administrative Law on the LLB and graduate LLB course and Public Law on the GDL degree programme. 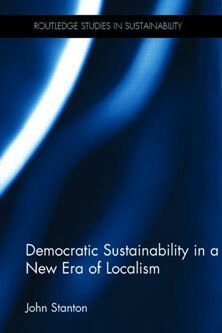 His most recent book, titled 'Democratic Sustainability in a New Era of Localism', (Routledge), examines the impact that local democracy can have on initiatives and processes aimed at achieving local regeneration, looking particularly at the manner in which local citizens can get involved and enjoy accountable decision making. Dr Stanton argues that "citizen involvement and 'good accountability' are vital to achieving locally relevant development in communities. Where this is in place individuals can bring valuable contributions to local processes aimed at improving local areas". Analysing both local government (including recent reform) and the New Deal for Communities regeneration programme which was started during Tony Blair's New Labour administration, he explores the extent to which local democracy has informed regeneration activities in the past and considers how future initiatives might learn from these experiences. Locating itself in the context of localism in the UK, Dr Stanton's book "strips the principle of local sustainability down to its constituent parts". It examines the key roles of accountability and citizen participation in achieving objectives aligned with sustainability and demonstrates the relationships that these roles share. To purchase Dr Stanton's book please visit this weblink.